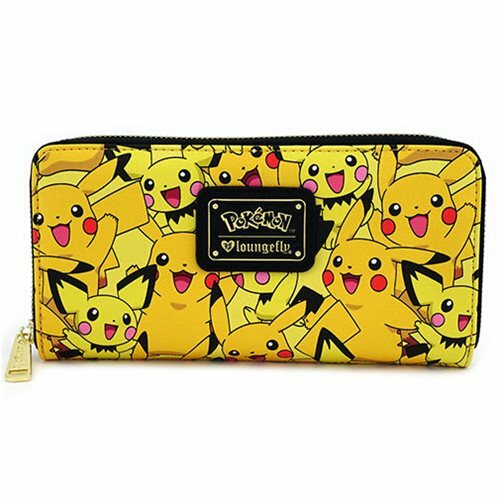 Gonna catch 'em all with this Pokemon Pikachu Pichu Print Zip-Around Wallet! Made of faux leather, it features printed detailing with a collage of Pikachu and Pichu. This Pokemon Pikachu Pichu Print Zip-Around Wallet measures approximately 8-inches x 4-inches.